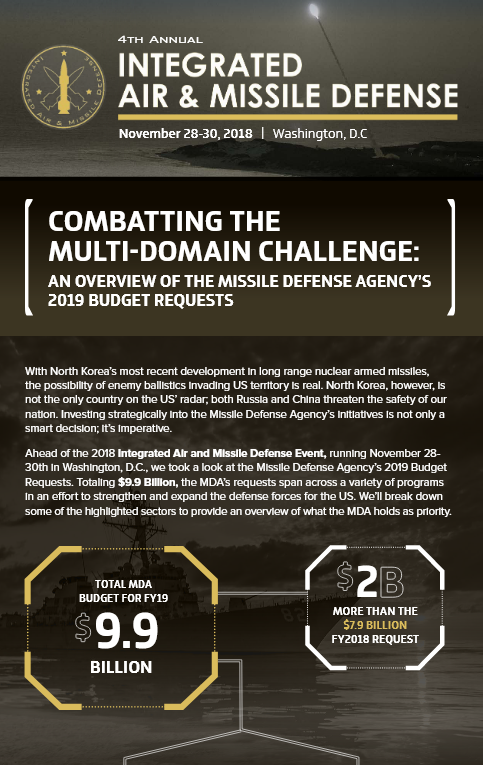 FY 2019 promises to bring significant changes for the Missile Defense Agency. Spending is expected to increase across a number of fronts, all with the goal of promoting a multifaceted approach to air and missile defense. Ahead of the Integrated Air and Missile Defense Summit, running November 28-30th in Washington, D.C. the IDGA evaluates the FY2019 budget requests.